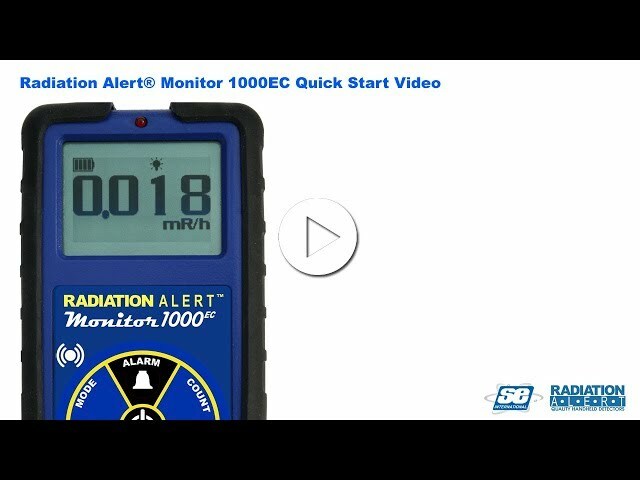 Monitor 1000EC Quick Start Video - Radiation Detectors, Radiation Detection Equipment | Radiation Alert® by S.E. International, Inc. This video will get you started with the use of your Radiation Alert® Monitor 1000EC. Watch this quick start video guide to run through the menu and the general settings and features of your radiation detector. With the exception of the built in efficiencies, this video is also applicable to the Monitor 200 and Ranger models as well, as they all have the same basic, simple to use interface. Welcome to the Radiation Alert® quick start guide for the Monitor 1000EC radiation detector. The Monitor 1000EC is an energy compensated ionizing radiation detector that detects Gamma and X Ray. It has a linear response to gamma and X-ray radiation. The Radiation Alert Line of Geiger Counters and Radiation Detectors by S.E. International, Inc.. Instructional videos and reviews.